Red Bull Formula 1 driver Daniel Ricciardo has admitted to not finding it easy moving on from his Spanish Grand Prix disappointment, and still waking up with it on his mind. After Mercedes duo Lewis Hamilton and Nico Rosberg crashed into one another on lap one, Ricciardo appeared on course for the win. But Red Bull used Ricciardo to counter Sebastian Vettel’s three-stop plan, while Max Verstappen and Kimi Raikkonen went head-to-head on a two-stop strategy. Reflecting on what unfolded a few days after the event, Ricciardo said: “The outcome of the race was frustrating. Is it easy to move on? I wouldn’t say easy. Can you move on? Absolutely. Ricciardo’s frustration is exacerbated because he feels he has not got the results his performances have deserved in the last three races. “I feel there’s always been something better to have and available for me, so it’s now like, ‘Ah, come on,'” added Ricciardo. “But at the same time it’s just racing and that’s part of it. “It’s a tough one. Part of me is happy the team is winning again, and part of me is happy everyone is super-motivated and confidence is high, so that’s a positive I’m trying to draw myself to. “But from a personal side it was massively frustrating. Although Ricciardo outqualified new teammate Verstappen to line up third, he recognizes the 18-year-old is a formidable opponent. “Max is a serious F1 driver, and that’s really good for me. 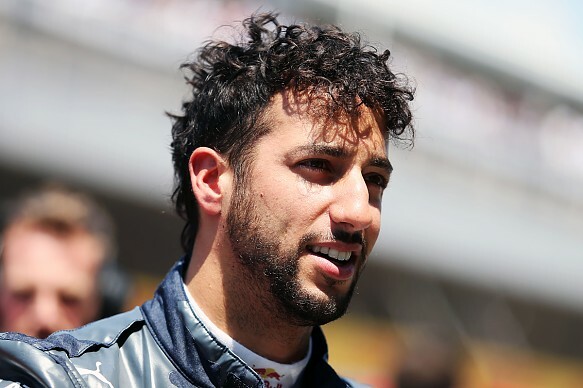 It’s definitely good motivation,” said Ricciardo. “I said when I joined Red Bull – and I had Seb [Vettel as teammate] – I wanted to go up against the best and challenge myself. Now Max is the newest challenge for me, and he is a big one. Ricciardo feels after a positive test, and with Renault’s upgraded engine imminent, Red Bull is poised for more success.